The first thing that I recommend doing is taking a practice test cold – no studying or familiarizing yourself with the content. This will give you a good baseline of your score. I did this my junior year of college. I did it so early – I knew I was going to work for a couple years after graduation – because I didn’t want to go down the path of investing time and money studying if I wasn’t going to be able to get a very good score. My GPA was mediocre, so I needed my LSAT to be high. At the time I was going to law school, the legal market was oversaturated. I knew the top firms don’t hire from lower-ranked law schools, and the lower-ranked schools don’t have loan repayment assistance. I wasn’t going if I didn’t see a way to pay back my loans. I encourage everyone who’s thinking about going to law school to think about how they will pay for law school and how they will repay their loans. 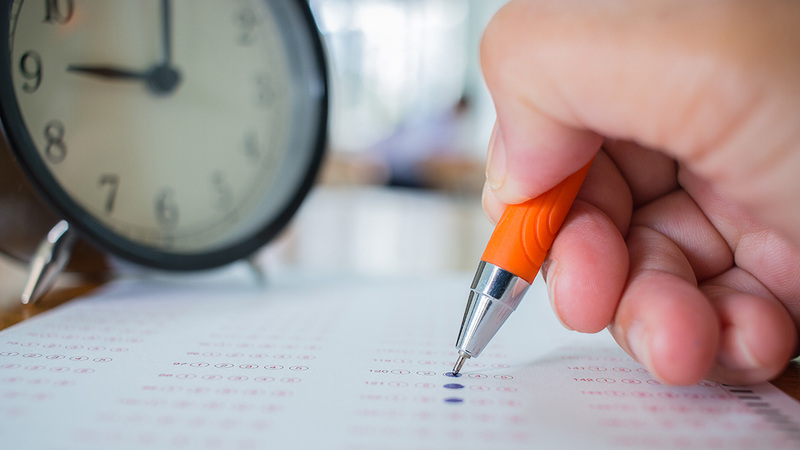 Even studying for the LSAT is a big commitment of time and money, so it should be worth it. When I got my score back, I researched the average score increase from studying. Most places said it’s between 10-20 points. The higher your score is, the harder it is to increase. It’s something to keep in mind when thinking about how much studying will change the score. With that said, the LSAT is very much a test that you can learn. It’s not content based (like the MCAT) so it’s not about learning substance, but learning strategy. I knew that I am not a disciplined person and I learn through discussion, so I began looking at different LSAT courses in my area. I also scheduled appointments to sit in on classes for each of them so I could see the teaching style. I signed up for a course the spring after I’d been working for a few months. I didn’t want to be adjusting to a new job while studying – something worth considering. I also moved to the city so I wouldn’t have to commute from New Jersey to work. In the first six months I was working, I saved up money for the move and for the class by living at home. I also saved up vacation. I worked every holiday and covered every shift. So, for the 13 weeks of the class, I worked a four-day weeks instead of five so I could study. Class was three days a week with tons of homework. It was nine hours in class, and they told us to expect three hours of studying for every hour we were in class. It was like a second job. While I was taking the class, I went to every class, did the homework (sometimes I’d quickly finish up work in the office and then study), and, importantly, kept communicating with the instructor about where to focus so I could improve. When I took the LSAT for real the first time, I got nervous and was much slower than I’d been when taking my practice tests. I didn’t do much better than my baseline. So, I took practice tests all summer – something like once a week with a few weeks off in the beginning to get over my sadness – so I could take it again in October. That time, I started having small seizures (I have epilepsy) so I cancelled my score. Something I forgot to mention – the logic game portion used to trigger petit mal seizures, so I was also working with neurologists to get my seizures under control. They weren’t that helpful, so I did a lot of meditation to learn to slow down my brain when I started having them. After the December test, I worked on completing my application so that as soon as my score came in, I could submit my application. I was at SoulCycle when I got it and did a few points better than expected because the curve was very generous. I left the locker room and danced with the front desk staff. My law school apps were submitted in January! I will do a separate post about that process at some point. Editor’s note: This post originally appeared as a series of tweets. Before the Bar was given permission to de-thread them.